Start off your visit on the 25th (Tue): examine the collection at Maritime Museum of San Diego and then meet the residents at San Diego Zoo. Keep things going the next day: see the interesting displays at San Diego Model Railroad Museum and then find something for the whole family at SeaWorld San Diego. For ratings, photos, and tourist information, refer to the San Diego road trip planning website . Honolulu to San Diego is an approximately 7.5-hour flight. The time zone changes from Hawaii Standard Time to Pacific Standard Time, which is usually a 2 hour difference. Plan for slightly colder temperatures traveling from Honolulu in June, with highs in San Diego at 73°F and lows at 64°F. Wrap up your sightseeing on the 26th (Wed) early enough to drive to Anaheim. 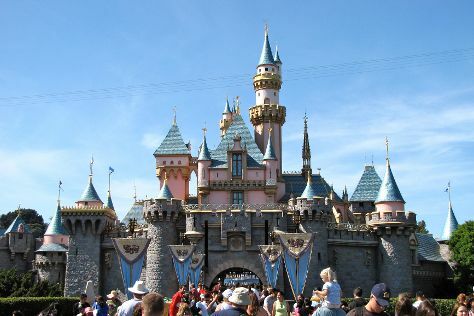 Kick off your visit on the 27th (Thu): discover the magic at Disneyland Park. For where to stay, more things to do, and more tourist information, you can read our Anaheim trip tool . You can drive from San Diego to Anaheim in 2 hours. Other options are to take a bus; or take a train. Traveling from San Diego in June, you will find days in Anaheim are a bit warmer (82°F), and nights are about the same (64°F). Finish up your sightseeing early on the 27th (Thu) so you can travel to Grove. Grove is a city in Delaware County, Oklahoma, United States. Plan my day in Grove using traveler tips and tourist information provided by Inspirock. The Route module can help you plan travel from Anaheim to Grove. The time zone difference when traveling from Anaheim to Grove is 2 hours. In June, daily temperatures in Grove can reach 87°F, while at night they dip to 67°F. You'll set off for San Francisco on the 28th (Fri). Family-friendly places like Exploratorium and Japanese Tea Garden will thrill your kids. 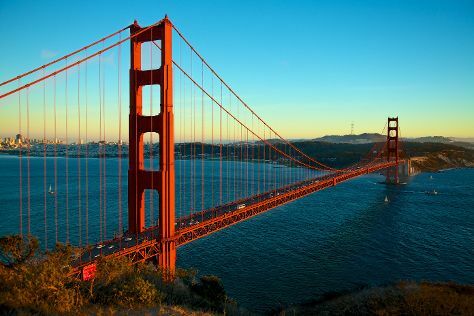 There's lots more to do: take in the views from Golden Gate Bridge, head off the coast to Alcatraz Island, admire all the interesting features of AT&T Park, and make a trip to Golden Gate Park. To see other places to visit, photos, traveler tips, and more tourist information, read our San Francisco online tour itinerary builder . The Route module can help you plan travel from Grove to San Francisco. You'll gain 2 hours traveling from Grove to San Francisco due to the time zone difference. Expect little chillier temperatures when traveling from Grove in June; daily highs in San Francisco reach 71°F and lows reach 55°F. Wrap up your sightseeing on the 1st (Mon) early enough to travel back home.